SAMARA, Russia (AP) Coach Stanislav Cherchesov insists Russia’s success at the World Cup is about much more than home-team advantage. 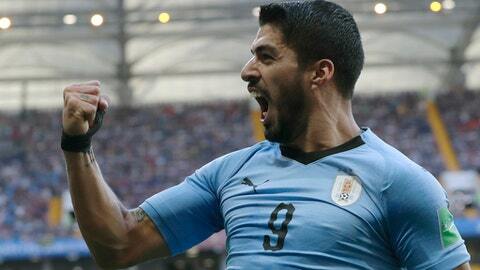 Russia will face its toughest challenge – so far – against Uruguay. The undefeated teams play Monday in Samara for the top spot in their group, with both already assured a spot in the knockout round. The hosts entered the tournament with the lowest FIFA ranking in the field at No. 70. Russia comes to Samara following a 5-0 victory in the opener against Saudi Arabia with Vladimir Putin on hand, followed by a 3-1 win over Egypt to spoil Mohamed Salah’s World Cup. Cherchesov said preparation is the key to Russia’s success. Uruguay, however, is a much more skilled team than Russia’s first two opponents. Ranked No. 14, La Celeste defeated Egypt 1-0 in its tournament opener and then had the same result against Saudi Arabia on Wednesday. Denis Cheryshev, who some thought might not play much at the World Cup, leads Russia with three goals. The only players with more in the tournament are Portugal’s Cristiano Ronaldo and Belgium’s Romelu Lukaku – both established international stars. It’s quite an accomplishment for Cheryshev, the Villarreal player who failed to score in his previous 11 appearances with the national team. ”I could never have dreamed of anything like this,” Cheryshev said. Lucas Torreira, the 22-year-old defensive midfielder for Uruguay, addressed the persistent rumors that he’s headed to Arsenal. But he didn’t say much. ”Arsenal is a good team, one of the most important in the world, but at this moment I am focused on playing for my country,” he told reporters following the match against Saudi Arabia.